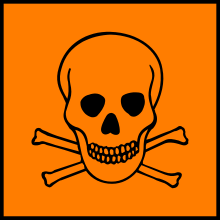 AlP is used as both a fumigant and an oral pesticide. As a rodenticide, aluminium phosphide pellets are provided as a mixture with food for consumption by the rodents. The acid in the digestive system of the rodent reacts with the phosphide to generate the toxic phosphine gas. Other pesticides similar to aluminium phosphide are zinc phosphide and calcium phosphide. In this application, aluminium phosphide can be encountered under various brand names, e.g. Fostox, Celphos, Fumitoxin, Phostoxin, Talunex , Phostek , and Quick Phos. It generates phosphine gas according to the following hydrolysis equation. Evidently poisonous, aluminium phosphide has been used for suicide. Fumigation has also caused unintentional deaths, such as examples in Saudi Arabia and the United States. Known as "rice tablet" in Iran, for its use to preserve rice, there have been frequent incidents of accidental or intentional death. There is a campaign by the Iranian Forensic Medicine Organization to stop its use as a pesticide. 1 2 Berger, L. I. (1996). 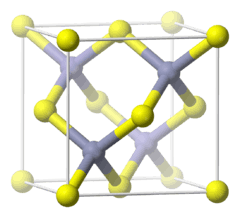 Semiconductor Materials. CRC Press. p. 125. ISBN 0-8493-8912-7. ↑ Van Zeghbroeck; B. J. (1997). "Bravais Lattices; Zincblende Lattice". University of Colorado. 1 2 White, W. E.; Bushey, A. H.; Holtzclaw, H. F.; Hengeveld, F. W. (1953). Bailar, J. C., ed. "Aluminum Phosphide". Inorganic Syntheses. Inorganic Syntheses. 4: 23–25. doi:10.1002/9780470132357.ch7. ISBN 9780470132357. 1 2 White, W. E.; Bushey, A. H. (1944). "Aluminum Phosphide – Preparation and Composition". Journal of the American Chemical Society. 66 (10): 1666. doi:10.1021/ja01238a018. ↑ "Millionaire's death sparks poison scare". BBC News. 2002-10-10. Retrieved 2009-04-05. ↑ "Fumes kill two Danes in Jeddah". BBC News. 2009-02-24. Archived from the original on 25 February 2009. Retrieved 2009-02-25. ↑ "Family loses 2nd child in suspected pesticide poisoning". KSL-TV. 2010-02-09. Archived from the original on 11 February 2010. Retrieved 2010-02-09. ↑ Shadnia, S.; Sasanian, G.; Allami, P.; Hosseini, A.; Ranjbar, A.; Amini-Shirazi, N.; Abdollahi, M. (2009). "A Retrospective 7-Years Study of Aluminum Phosphide Poisoning in Tehran: Opportunities for Prevention". Human & Experimental Toxicology. 28 (4): 209–213. doi:10.1177/0960327108097194. PMID 19734272. ↑ Mehrpour, O.; Singh, S. (2010). "Rice Tablet Poisoning: A Major Concern in Iranian Population". Human & Experimental Toxicology. 29 (8): 701–702. doi:10.1177/0960327109359643. PMID 20097728. ↑ "La familia de Alcalá de Guadaira murió tras inhalar plaguicida". La Vanguardia. Agencia EFE. 3 February 2014. Retrieved 3 February 2014. ↑ Siwach, SB; Gupta, A (1995). "The profile of acute poisonings in Harayana-Rohtak Study". The Journal of the Association of Physicians of India. 43 (11): 756–9. PMID 8773034. ↑ Singh, D; Jit, I; Tyagi, S (1999). "Changing trends in acute poisoning in Chandigarh zone: A 25-year autopsy experience from a tertiary care hospital in northern India". The American Journal of Forensic Medicine and Pathology. 20 (2): 203–10. doi:10.1097/00000433-199906000-00019. PMID 10414665.